If the U.S. Senate confirms Robert Wilkie as Department of Veterans Affairs Secretary, implementation of the near-$16 billion Cerner electronic health record would be a top priority at the agency, Wilkie said on Wednesday during his confirmation hearing. As acting VA Secretary, Wilkie signed the contract with Cerner last month to replace the agency’s legacy system. The EHR contract is just the first step to modernize the VA, said Wilkie. “[The new EHR system] modernizes our appointment system, it is also the template to get us started on the road to automate disability claims and our payment claims, particularly to our providers in rural America and those who administer emergency care,” Wilkie said. More importantly, the Cerner system will bolster interoperability, he added. The system will be able to connect with the Department of Defense and private sector actors, such as pharmacies, to “create a continuum of care” and help prevent suicide and opioid abuse. The plan is to create a unified EHR with the DoD through the Cerner platform, while aligning the rollout with the DoD’s scheduled implementations to achieve efficiencies, said Wilkie. But Sen. Patty Murray, D-Washington, who blasted the DoD in April for “putting patient lives at risk” with its initial rollout, told Wilkie she was concerned the VA was still pushing forward with the contract despite the DoD’s challenges. 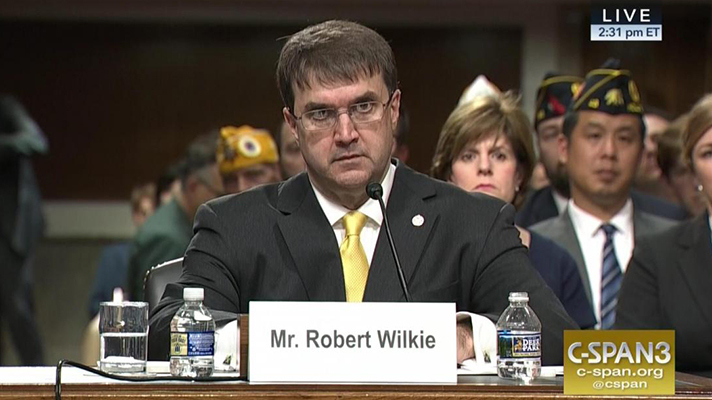 Healthcare remained a key discussion point throughout the hearing, with Wilkie pointing out four areas where the VA needs to improve: culture and communal aspects, care access, agency backlog and human resources business. If confirmed, Wilkie will fill the role left vacant by David Shulkin, MD, who was fired by President Trump on Twitter in March. Shulkin made the initial push to transition the VA’s legacy system to Cerner in June 2017. After his dismissal, Shulkin said he was forced out by those within the government who want to privatize VA healthcare, which was top of mind for Sen. Bernie Sanders, I-Vermont. “No, sir, I don’t,” said Wilkie. “Will you vigorously oppose, whether it is the Koch brothers and their various organizations or the President of the U.S., any effort to privatize the VA?” Sanders asked. “My commitment to you is that I will oppose efforts to privatize the VA," Wilkie said. If confirmed, Wilkie will be charged with leading the recently passed MISSION Act, which reformed the Veterans Choice program and lets veterans seek private sector care if there are long wait times in their area or if they live a certain distance from a VA medical facility. Wilkie stressed that VA is central to veterans healthcare and that the Choice program is designed to support VA care, while removing barriers for veterans who seek private sector care. “Many of the issues I encountered as acting secretary were not with the quality of care but were getting veterans through the door to get that care," Wilkie said.